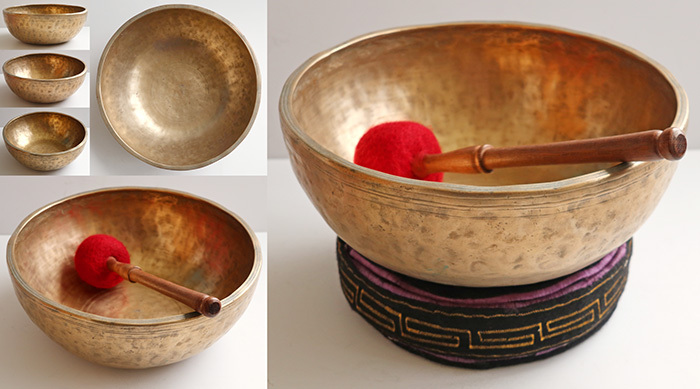 This category is exclusively devoted to Singing Bowls of Outstanding Quality and Rarity…bowls of great character with sublime voices. 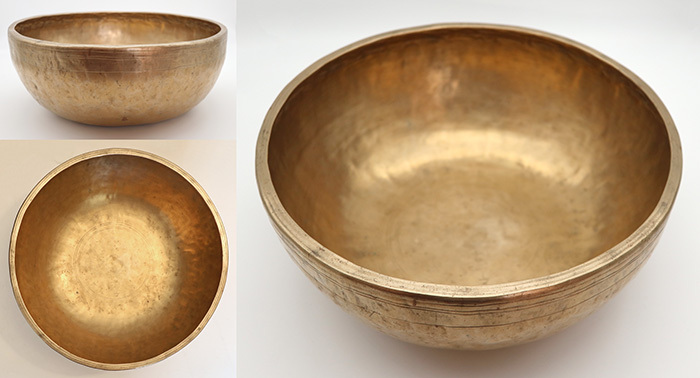 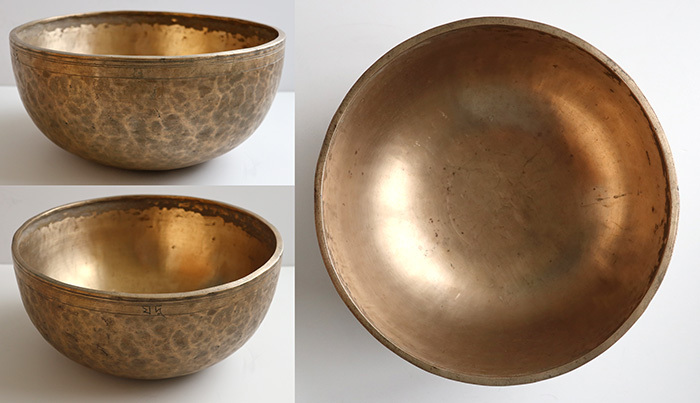 Many of the bowls listed here were collected in the Himalayas in the late 1980s and 1990s when they were more readily available, and certainly more affordable. 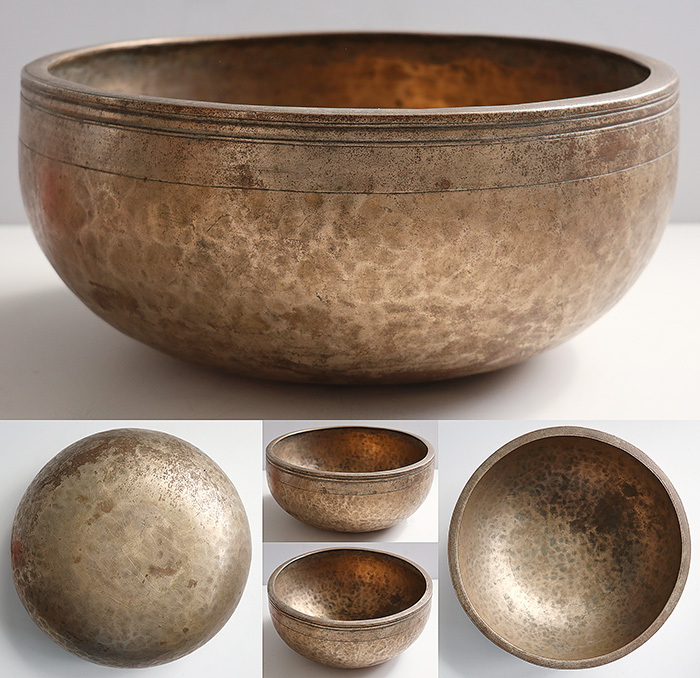 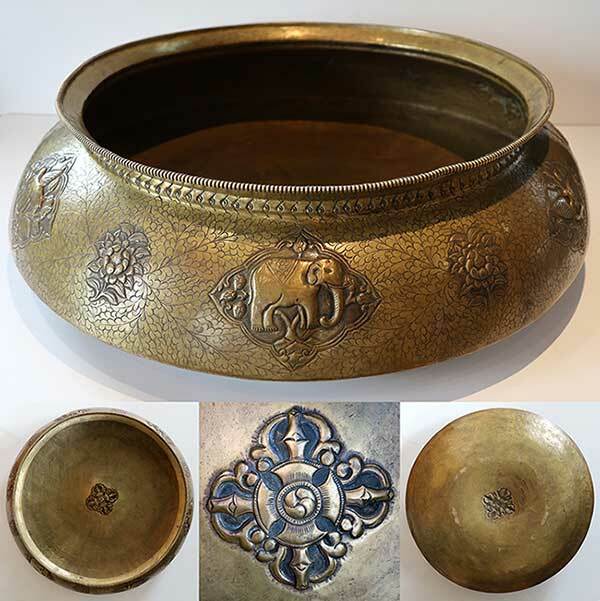 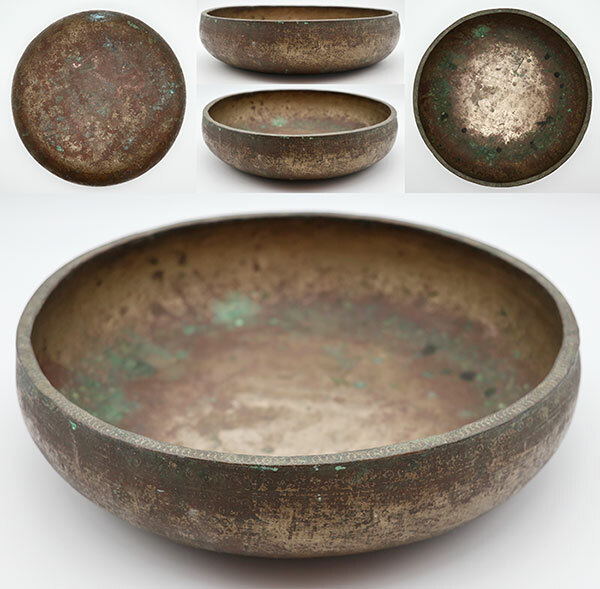 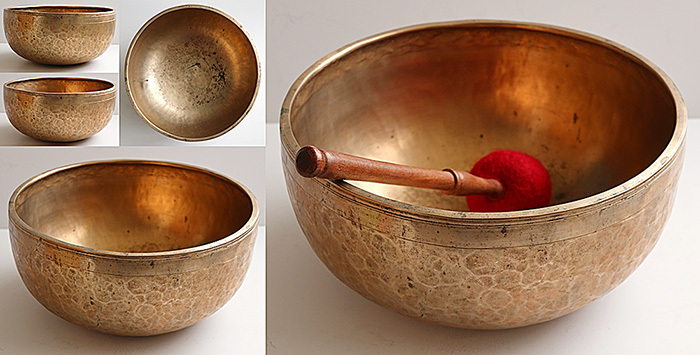 We were fortunate in being able to indulge our personal passion for rare singing bowls during frequent buying trips to source items for our former ethnic and tribal art galleries. 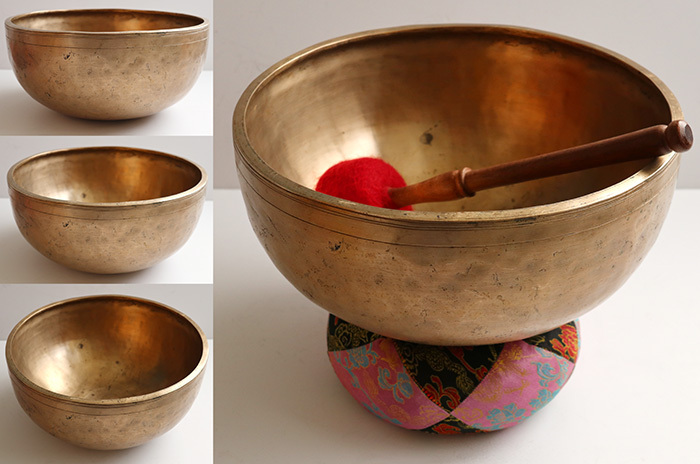 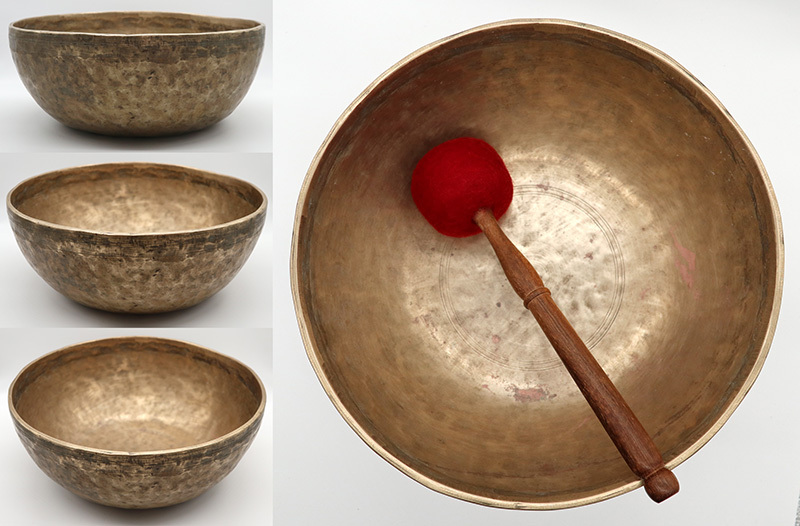 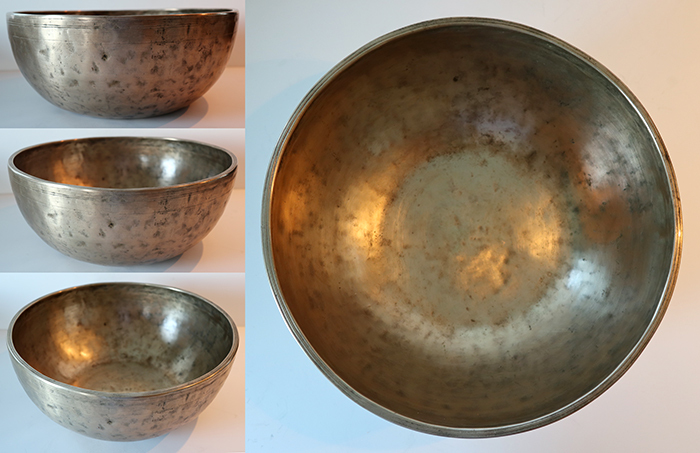 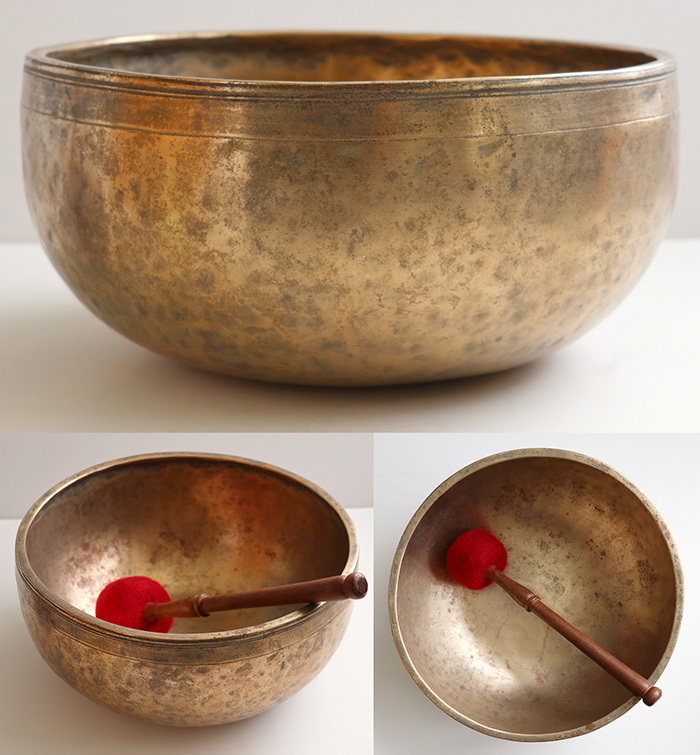 Nowadays singing bowls of this caliber are few and far between and rarely come on the market (it’s usually ‘finders-keepers’) but when they do avid collectors quickly snap them up. 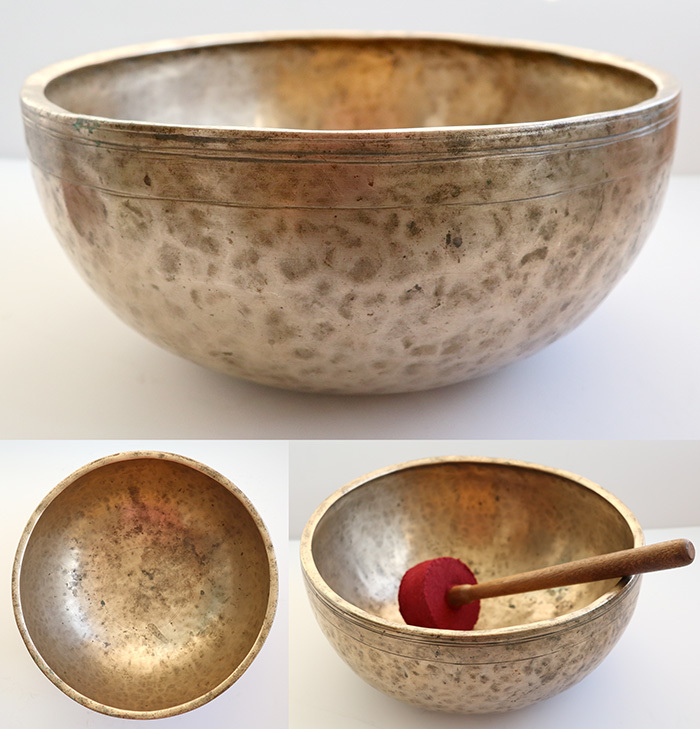 If you see something you truly want, and can afford it, buy it now!